This is similar to Notes but because it is Google, you can have access to your notes from your desktop browser as it is synced with the Google Account. You can use Google Keep app for all kinds of stuff, storing memos, lists, recipes, random articles, URLs to news articles etc. You can color code your notes to differentiate memos from recipes. What I really like is the list feature which automatically strikes off an item when I click on the check-box. That makes grocery shopping super easy. It also has a search feature within the notes which makes it easy for you to search among thousands of notes. I absolutely love the Push Bullet app. I frequently use multiple devices, my desktop at home, my work computer and the phone. If I am reading an interesting article on my desktop or find a recipe for example, and I want to save it on my phone, the only ways to do that is email it to yourself or type the link on your phone. With Push bullet, you can install an extension in your browser and by the click of a button it sends the article that you are reading to your phone or any other device. The same applies to your phone, if you are reading an article on your phone you can push it to any other device. It isnt limited to just articles, you can push photos, videos, notes etc. You can also push it to your family's devices. So I frequently share articles using push bullet with my family as well. I frequently have to scan documents. But its a tedious process on the scanner. So the CamScanner app allows you to take a picture and then converts it to a scanned document. Best part is even if the picture is a little distorted or angled incorrectly or the lighting is not right, the app adjusts everything and makes it look like an actual scan. This is a Samsung native App, so download it from the Samsung Apps store. Love this app because it has all the offers in one place, no need to search for coupons! Beep'nGo app has offers on apparels, dining, grocery and automobiles. Plus, you can also scan your own coupons with the bar codes and you never have to carry them again. You can also scan your gift cards along with their bar codes so you can use the gift cards from your phone and never have to carry them in your wallet! Before we get into the details of business case development, it is important to understand what is a business case, why do we prepare business cases, and how much time should we be spending on developing a business case. A business case serves as the center piece in integrating IT governance, portfolio management processes, and financial management processes. Business cases are an important document in helping leadership and management understand the business value of an investment or business opportunity. A business case is part sales and part marketing. But it is the “business” units’ opportunity to present an overwhelming and compelling justification for funding an investment to achieve organization or business unit mission, goals, and objectives. An effective business case is a multi-purpose document that generates the support, participation and leadership commitment required to transform an idea into reality. A business case identifies an idea, problem, or opportunity. It provides context and content around the problem and equally illustrates the desired objectives and outcomes. The problem and desired outcomes are normally defined and described in terms of the business. The business case describes how and who will be affected. The how and who typically evolve around individual or organization behavioral changes; also know as change management. Change management also involves the people and process changes that would be required. The business case will breakout specific alternatives that were examined, their associated impacts, risks, costs, and benefits. Alternatives focus more towards a technical component contributing to the overall business solution. · And a benefits sponsor. Why Prepare a Business Case? The simple answer to the question of “why?” would be: 1. it makes sense, 2. it is the right thing to do, and 3. business cases are recognized and accepted as a best practice. Those three reasons either alone or together may not appear to be compelling enough. Below are more concrete requirements as to “why” we prepare business cases, founded upon statute and policy. Governor’s Priorities and Initiatives: In response to the current budget crisis and in support of the Governor’s priorities to “Restore Confidence and Accountability in Government” and “Make Government Live within its Means,” the Governor’s initiative on Regulatory Streamlining, and the activities of the Governor’s Advisory Committee on Government and Performance and Accountability, the Department of Administrative Services (DAS) and state agencies must do what we can to appropriately control information technology (IT) spending and stretch limited IT dollars. Business cases are fundamental in identifying accountable business or benefit owner(s), high level business performance metrics, and the associated investment cost model. How much time to spend on developing a business case? 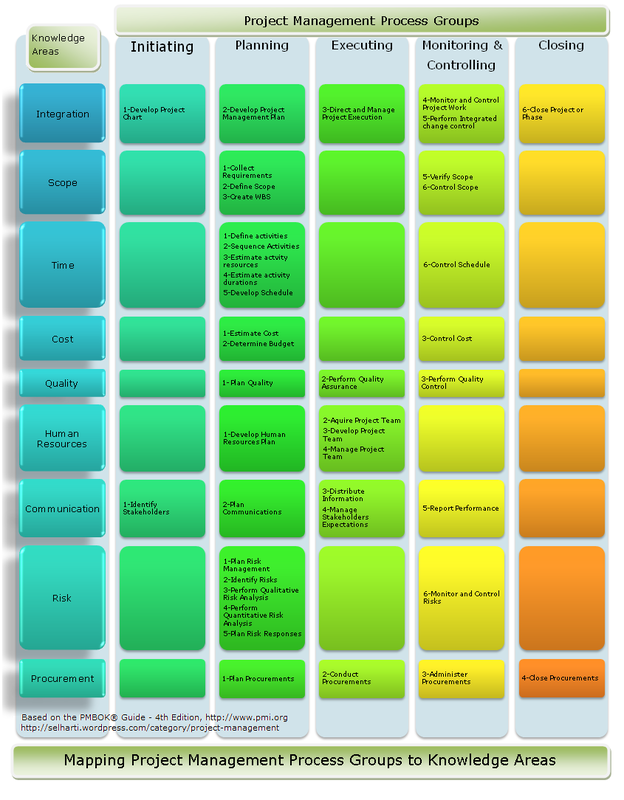 The Business case template is scalable to the nature and impact of the proposal. The number of pages of a business case varies based on the subject matter of the case. It may be a brief 2-4 page document or an extensive evaluation consisting of 20 to100 pages. However, the length of the business case should be kept to a minimum, ensuring it stays on topic, presents relevant information in a clear and concise manner, and is focused on supporting management in making decisions. The time and effort spent on a business case should be in proportion to the scope of the problem.The definitive answer for the amount of time allocated to develop a business case is: It takes as long as it takes. It is a function of time, commitment, understanding, and resources. 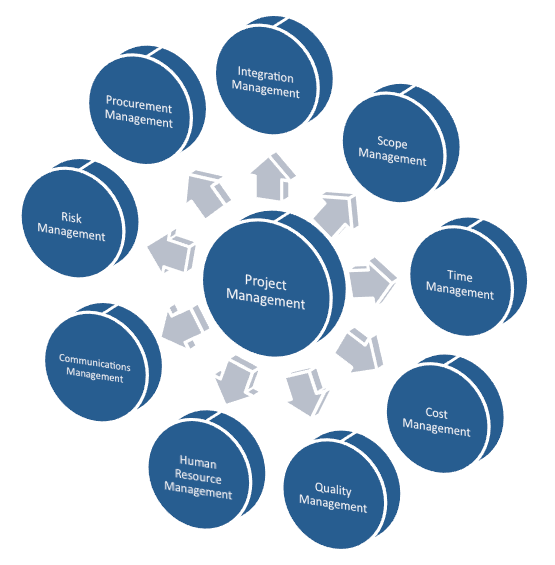 One of the basic concepts of PMBOK are the Project Management Process Groups and Project Management Knowledge Areas. For the PMP Certification exam, you need to know each of the process groups and knowledge areas and the mapping between the Project Management process groups and knowledge areas. So let's begin. 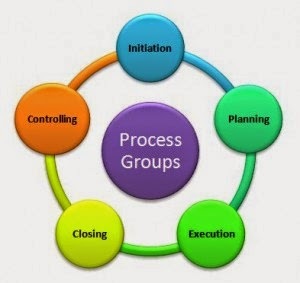 There are five Project Management process groups - Initiation, Planning, Execution, Monitoring and Control and Closing. For the PMP Certification exam, you will need to know the each of the tasks under the individual process groups as well as which of these tasks map to which Project Management Knowledge area. Note that Integration Management is the only knowledge area which has tasks in all the process groups. Hence it is the most important chapter in PMBOK as well as the PMP certification exam. 5. What is the correct way to end a PHP statement? 10. Include files must have the file extension ".inc"
12. What is the correct way to create a function in PHP? 13. What is the correct way to open the file "time.txt" as readable? 15. What is the correct way to connect to a MySQL database? 16. What is the correct way to add 1 to the $count variable? 17. What is a correct way to add a comment in PHP? 19. In PHP, the die() and exit() functions do the exact same thing. 20. Which one of these variables has an illegal name? 14. Which SQL keyword is used to sort the result-set? 15. With SQL, how can you return all the records from a table named "Persons" sorted descending by "FirstName"? 16. With SQL, how can you insert a new record into the "Persons" table? 18. How can you change "Hansen" into "Nilsen" in the "LastName" column in the Persons table? 19. With SQL, how can you delete the records where the "FirstName" is "Peter" in the Persons Table? 20. With SQL, how can you return the number of records in the "Persons" table? What is the Salience Model in Project Management? What is the Salience Model? Every project has many stakeholders. Each project stakeholder has varying expectations. Stakeholder prioritization can be a nightmare. Managing the communication needs of the various project stakeholders is a tricky. 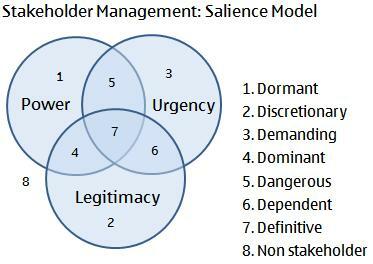 Let’s see how the Salience Model helps put project stakeholders into perspective. Legitimacy: Is the authority, level of involvement project stakeholders have on a project. Urgency: Is the time expected by project stakeholders for responses to their expectations. This three-dimensional view of project stakeholders needs and expectations from a project can help managers narrow down the critical stakeholders for stakeholder management. The Salience Model for project stakeholders is graphically depicted as a Venn diagram. Each assessment parameter has a major circle and the intersections of each major circle helps you identify project stakeholders that have multiple needs. A) Core/Definitive: These are the critical project stakeholders. As a Project Manager, you need to provide focused attention to these stakeholders. B) Dominant: Such project stakeholders have power and legitimacy, but do not have urgency. You should focus on their expectations, but always there is not a lot of urgency. C) Dependent: As per the Salience Model, these project stakeholders have no real power on the project. However, they need to be managed because they can quite easily choose to align themselves with other project stakeholders and hence influence your project. D) Dangerous: Appropriately named classification, these stakeholders have power and urgency, but no legitimacy. Imagine a very senior person trying to force her views on the outcome of your project, without really being a part of it! A Project Manager needs to keep such stakeholders appropriately engaged or satisfied. E) Latent/Dormant: Possibly the best category project stakeholders. These stakeholders only get into the project, if there is something has gone horribly wrong with it. Over-communication of micro-level details with them is also not a great thing to do. F) Demanding: Such stakeholders in the Salience Model are people that always seem to think that their work needs your immediate attention. If you spend too much time and effort on these stakeholders, you won’t actually gain to much project mileage. There are other more important people to work with. G) Discretionary: Another wonderful classification of project stakeholders. Give them regular status updates and they’ll be happy. H) Non-stakeholders: These people are not stakeholders in the project. Investing time and effort on such people will not help you shape the outcome of your project in any manner. Samsung Galaxy S5 - diamond plated with retina scan? Looking to buy a new phone and going through the specs of what's available (Moto X, Nexus 5, LG G2, and Iphone 5s ofcourse) and what's to come (Samsung Galaxy S5). Being a Samsung afficionado for 4 years, I am super excited to read that Samsung may be launching the Samsung Galaxy S5 in March 2014. So I have decided to put my phone shopping on hold till March 2014. Here's what the rumour grapevine has about the specs and features of Samsung Galaxy S5. Fingers crossed! Second comes the display. Samsung is not averse to the idea of incorporating a flexible display into the Galaxy series. The Galaxy Round that was launched last year comes with a 5.7-inch Amoled screen. The new Galaxy S5 could also sport a similar vertically oriented curved display or may not. Galaxy S5 is supposed to have a 2K display with 560ppi for screens as small as five inches. This is a leaked image of the Samsung Galaxy S5 home screen. Finger print or Retina scan? Anyone hoping that Samsung will follow in the footsteps of Apple and bring a fingerprint scanner to the Galaxy S5 could be disappointed if certain rumors are to be believed. A Samsung official apparently told the Korean Times that the company is "not yet developing the finger print technology" for its handsets. The eye scanning tech has been in talks after a Samsung exec spoke to Bloomberg and said "Many people are fanatical about iris recognition technology. We are studying the possibility." Ok either way is good as far as I am concerned. More power and battery - Samsung has already developed a 3GB RAM chip that will likely go in the Samsung Galaxy S5. With each new version of the samsung galaxy phones, Samsung has upped the power pack for its battery. So its expected that the samsung galaxy S5 will have more power than its predecessor S4 which has 2,600 mAh. Can we hope for 4,000mAh pack? Surely! Built-in projector? Yes please! - Rumour has it that the Samsung Galaxy S5 will have a built-in projector. Samsung already has built the Samsung Beam last year which was a niche device but its all about integrating the technology and Samsung has had one year to do it.. so they should be streaming and beaming with the Galaxy S5. Copyright 2013. Project Management Blog. Simple theme. Theme images by luoman. Powered by Blogger.